I. 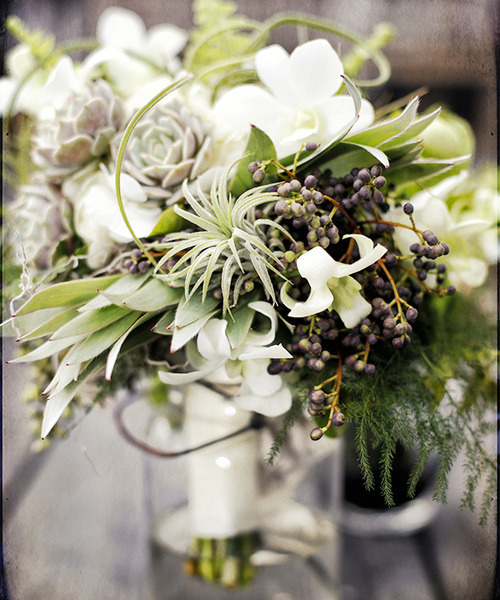 With the succulent craze still in full-effect, consider adding the sleek greens to your floral arrangements to achieve a modern-chic aesthetic. Flora Grubb Gardens (in person or online) is the best place to go for everything succulent. Fun Fact: Martha Stewart recently listed the location as a must-do when visiting San Francisco. II. I rarely have days off, so when I happened to have a free Sunday last week I decided to paint my bathroom. The medium gray left the room feeling a bit cold. 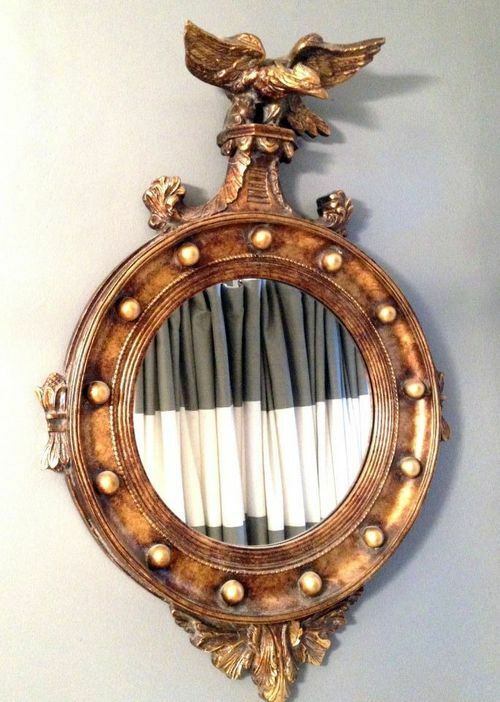 To remedy this, I picked up a vintage Federal Eagle Mirror to bring warmth to the otherwise sterile space. Now I’m smitten with a room that in the past I completely ignored! III. 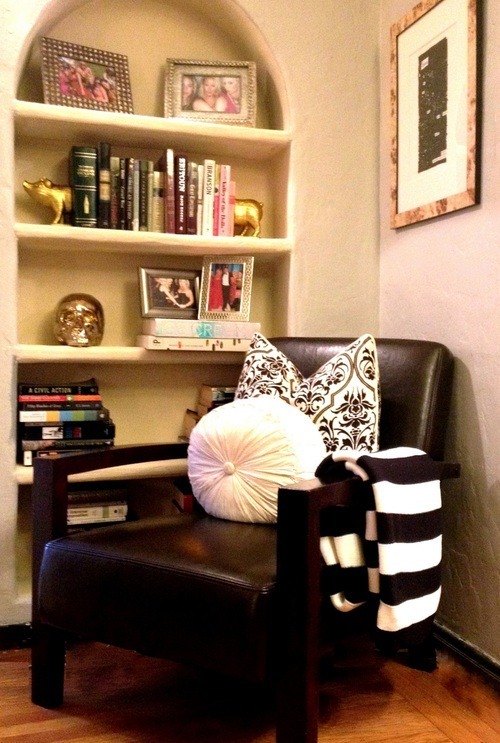 Over the weekend, I picked up two of these crisp black and white striped throws for my twin leather chairs. An abundance of throws instantly makes a home feel cozier for company, and at $20 a pop they’re too tempting to refuse. IV. Teatime never seemed particularly appealing until David’s Tea staked its caffeinated claim all over our fair city (and nation-wide). 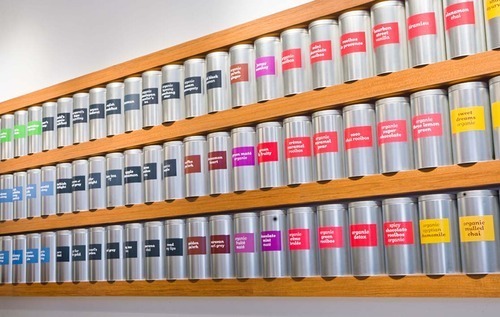 I popped into the Chestnut Street location this morning, and fell in love with the Canadian-based cafe that offers every tea imaginable, from herbal to exotic, hot/cold/by-the-pound. Stop by for a sample of my favorite: Champagne Tea! V. With temperatures hitting the 80’s, it’s finally barbecue weather in the Bay Area!! These blue cheese burgers are well-worth firing up your grill for this week. 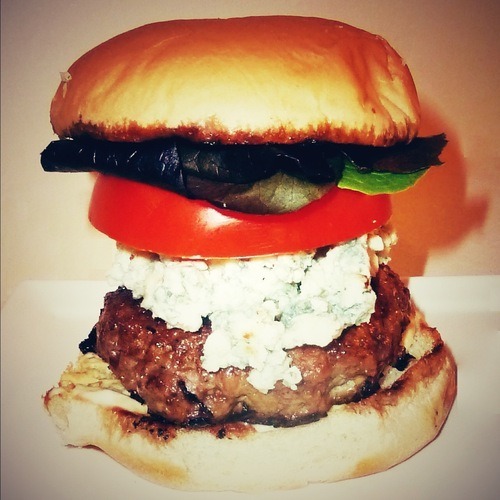 For added blue cheese bliss, top your burger with Big Rock Blue from Central Coast Creamery.